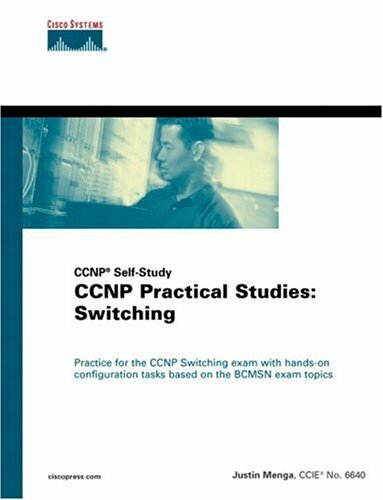 The book provides CCNP candidates with a hands-on experience in configuring Cisco Catalyst switches. This guide shows intermediate level networkers how to apply the knowledge they have gained through CCNP Coursework and exam preparation. Configuration labs will cover all technologies tested upon in Switching exam #640-604, as well as a number of real world scenarios that will test the users overall understanding of multilayer switching. The labs come complete with full explanations, highlighting why the chosen commands and techniques are recommended. by Ron Aitchison - ZyTrax, Inc. The book presents a systematic troubleshooting methodology for network engineers, administrators, and architects tasked with managing and deploying Cisco IOS VPNs. It covers troubleshooting techniques for IPSec, MPLS Layer-3, MPLS Layer-2, etc. This book is a quick but thoughtful guide to jump into the Internet of Things, covering important subjects as IPv6 networking, sensors, wireless protocols and technologies, as well as IoT cloud platforms and its protocols, featuring lots of examples.